Volkswagen has revealed its updated Transporter, which introduces new driver assistance systems, a new loading function for long cargo and increased standard specification. 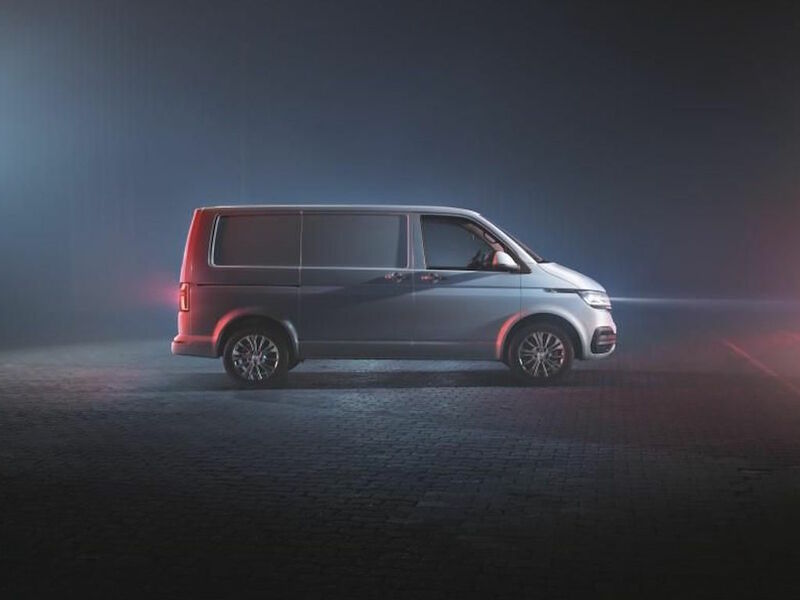 Unveiled at the Bauma 2019 trade fair in its panel van, Kombi and single/double cab pick-up guises, the facelifted sixth-generation model has been named Transporter 6.1 by VW to recognise the extent of its updates. This includes the switch from hydraulic to electro-mechanical power, which enables a new array of driver assistance systems, such as lane keeping assist, automated Park Assist parking, side protection warnings, rear traffic alert warnings and trailer assist. It also features a road sign display function, available in combination with navigation system, while the panel van and Kombi get ae new cross wind assist system. Also fitted as standard is the post-collision braking system and hill start assist. The cab has been redesigned with new features including a 230-volt electric socket by the driver’s seat and a lockable compartment under the double bench seat on the passenger side. The Transporter also introduces a new under-seat loading function that increases the maximum cargo compartment length from 2,450mm to 2,800mm and with the extended wheelbase from 2,900mm to 3,300mm. The facelifted Transporter is also equipped with a separate cargo space locking system as standard on the panel van and Kombi with bulkhead, which allows the cargo compartment to be locked up separately from the cab. A ‘Courier package’ is due to arrive later and brings a robust layout for vehicle parts subject to high stress, such as the alternator, battery and drive shafts. The facelifted Transporter also introduces a much enhanced standard specification that brings electric windows, central locking, electrically adjustable heated wing mirrors, new H7 headlights, bright, energy-efficient interior lights using energy-efficient LED technology and the Composition Audio radio system with Bluetooth hands-free function. Fleets can also opt for the third generation of the modular infotainment matrix (MIB3) infotainment system, which brings an integrated SIM card to open up connected services. Engine line-up covers 2.0-litre turbo diesels with 90, 110, 150 or 199hp on tap; the latter two are available with 4MOTION all-wheel drive. A 112hp electric Transporter will also be available through a partnership with ABT, offering a payload of almost 1.2 tonnes and a claimed NEDC driving range of more than 400km (around 250 miles).